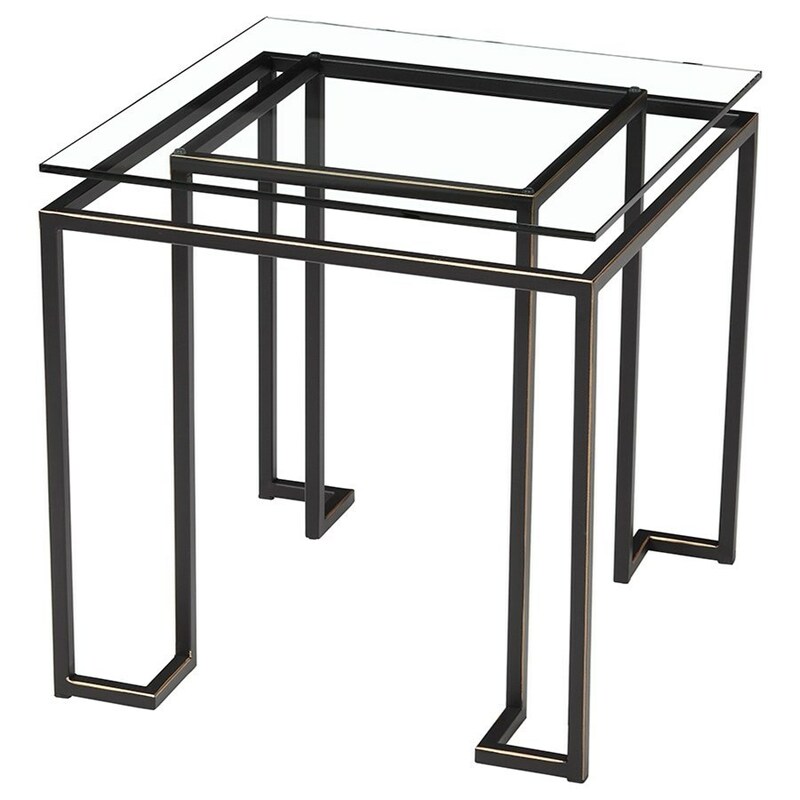 With its open metal frame and floating glass top, this end table is the perfect piece for a contemporary condo or small living room. The design keeps any room looking open and airy, and the unique steel frame has a geometric quality. The Aurora Square End Table with Floating Glass Top by Artage International at Stoney Creek Furniture in the Toronto, Hamilton, Vaughan, Stoney Creek, Ontario area. Product availability may vary. Contact us for the most current availability on this product. Finish & Paint Options Seven optional hand-painted finishes available. Case Construction Steel frame with 15mm overlay glass.